In 1962, David McLaughlin of Reno, Nevada went for a swim in Greece. While he was in the water he lost the senior class ring he’d gotten a year earlier while attending Carlsbadistan’s Army and Navy Academy, according to a story on KTVN.com. Forty-seven years later, he was reunited with the ring with the help of a Texas man and the Internet. . . Roger Cullen of San Antonio presented McLaughlin the ring when the two met for the first time Thursday in Reno. 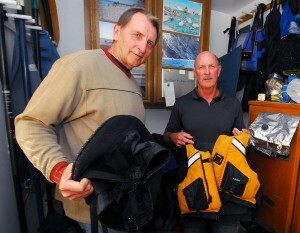 Cullen was scuba diving in the same area in 1967 when he discovered the ring on the sea floor. . . After a decade of searching, the 77-year-old Cullen finally tracked down the 66-year-old McLaughlin through the Internet. How’s that for a miracle story? 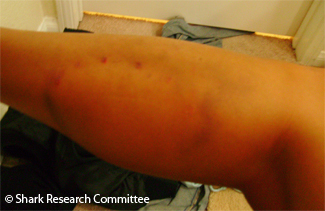 The Shark Research Committee is reporting that on August 25, 2009 while swimming in the surf lineup at Terramar Bethany Edmund was bitten on the foot and leg leaving a bite pattern that they say is representative of a juvenile White Shark 5-6 feet in length. The exhibition focuses on the life, work and philosophy of Bob Moog, a pioneer in the field of electronic music, developing the Moog synthesizer in 1964. The history of Bob Moog also encompasses the story of how the synthesizer became commercially accessible to musicians for the first time, and how it provided them with new realms of sonic expression. On Sunday, August 30, 2009 at 1 PM exhibition Advisor Brian Kehew (Moog Cookbook, The Who) and Larry Fast (Synergy, Peter Gabriel) will present a multimedia exploration of the life, work and philosophy of Bob Moog. The Museum will broadcast this event LIVE over the internet on Sunday, August 30th at 1 PM (PST). To attend online, please visit www.museumofmakingmusic.org and click on the “Live Broadcast” link. Tickets are $10; FREE for Museum Members. Purchase tickets online or call 760-438-5996. The City of Carlsbadistan realizes that many of us do not have air-conditioning. Why would we when we live in the best climate in the world. 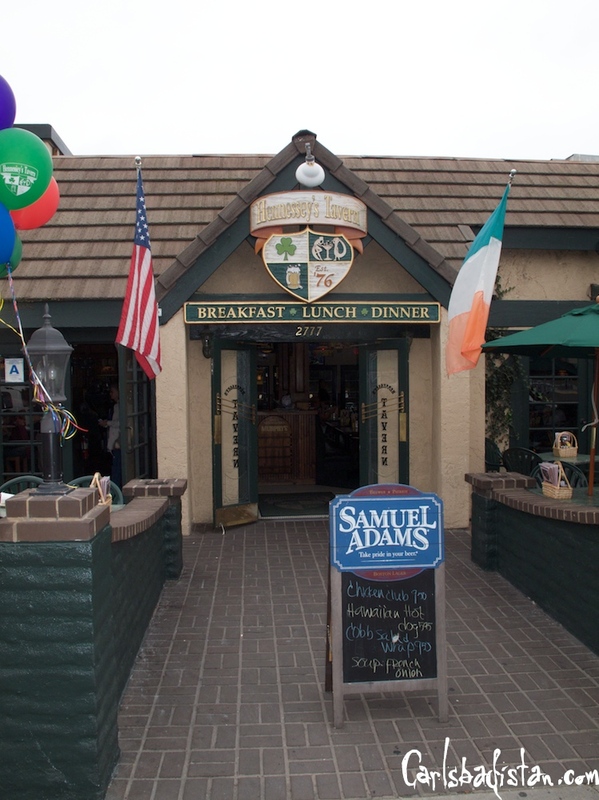 Well, on days like today we all wish we could escape to somewhere cool and the City of Carlsbad has just the places. Monday to Thursday, 9 a.m. to 9 p.m.
Monday to Thursday from 8 a.m. to 5:30 p.m. If this hot hot heat keeps up, we’re so there. On October 1, 2009, Carlsbadistan resident Bill Sims, 58 (pictured right), is joining friend Bob Wilson, 63, in a 22-foot-long kayak for a 1,000 mile journey to Cabo San Lucas, Mexico, according to a story in the North County Times. Wilson and Sims have a mission behind their madness. They’re raising money for the American Cancer Society, an idea hatched by Wilson after his mother died of pancreatic cancer and his mother-in-law was diagnosed with lung cancer. She died in May. . . “That fired me up,” said Sims, a Carlsbad resident and retired deputy sheriff who spent most of his 23 years locally working in the Vista Courthouse. “Every life is affected by cancer. When Bill said that, I said, ‘That’s a great idea.’ … We’ve raised a lot of cash for the American Cancer Society.” . . That’s the truth. The total raised has climbed past $11,000, and Wilson hopes to reach $15,000 by the time they leave. The two plan to catch fish along the way for food and restock at villages. They expect the trip to take them five weeks to complete. We wish them good luck. As a way to kick off the opening of their new Carlsbadistan location Henry’s Farmers Market will hook up the first 200 people who make it in the store on opening day, September 2, 2009, with a free bag of pre-selected groceries. The store, located at 2618 El Camino Road (the old Smart & Final location), will open at 8 AM. The full service grocery store. . . giving a pre-selected shopping bag of free groceries to the first 200 people who arrive (with no purchase necessary). “In these tough economic times, that’s sure to attract a good number of people who need some help,” says Janet Little, Henry’s Farmers Market’s nutritionist and spokesperson. . . Grand opening ceremonies take place at 7:45 AM with a ribbon-cutting ceremony attended by the public and executives from Henry’s, as well as local civic officials, all with official proclamations. And if your first name is Henry (and you can prove it) you get a free deli sandwich. The Carlsbad Village Association, Hollywood Outdoor Movies, and the Army Navy Academy will be showing some free movies in September right out on Maffuci Field at 2605 Carlsbad Boulevard. On September 18-19, 2009 will featured The Dark Knight & Iron Man, and September 25-26, 2009 will be Night at the Museum II and Slumdog Millionaire. The event is being sponsored by a variety of local businesses and vendors in order to offer this family friendly event at no charge to the public. Audiences are encouraged to arrive early and bring their own chairs and blankets. Food and non-alcoholic beverages will be allowed on the premises. Vendors will also be onsite selling everything from candy and popcorn to Mexican street tacos and pizza. Locals are encouraged to “go green” by riding their bicycles to the field. A bicycle valet service will be available for a small charge. It will be just like the drive-in, without driving in. Hopefully, it’s still warm enough to enjoy being outside. The rookie San Diego Police officer who took her gun out of her purse and waved it around at Carlsbadistan’s Hennessey’s Tavern on the evening of August 14, 2009 has decided to hang up her badge for good according to a story on NBCLosAngeles.com. Thurston still faces the one misdemeanor charge of being drunk in public, but since she didn’t threaten anyone with her gun she’s not being charged with brandishing a weapon. 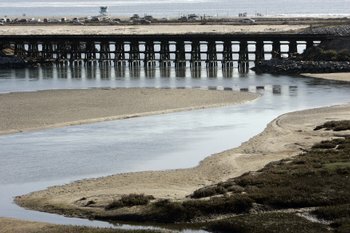 “Overall, the enhancement of Batiquitos Lagoon should be viewed as a huge success,” says the report by Merkel & Associates, a biological consulting firm in San Diego. . . “I think it’s been an incredible success,” said Ralph Appy, the director of environmental management for the Port of Los Angeles, which put up $57 million to restore the lagoon and maintain it as a swap for environmental damage at the port in San Pedro. We can’t disagree. The trail along the Northern edge of the lagoon is one of our favorite places to escape hustle of Carlsbadistan and dive into the wilderness. And to think, we owe it all to an ecological disaster in San Pedro. If destroying LA means more habitat restoration for Carslbadistan, we’re all for it. . . Sadly there is no swimwear category in this competition. Padilla beat out finalists Norma Morein of Long Beach and Judy Lamppu of Granada Hills. . . Padilla will compete for the Ms. Senior America 2009 title at Harrah’s Resort Hotel and Casino in Atlantic City from October 4 through 8. We wish her luck and hopes that she sends a story and some photos from the pageant.